Powered by the Intel dual-core processor and 4GB of memory, it delivers high performance at a throughput rate of 180 Mbps to ensure stable recordings and smooth playbacks of multiple megapixel cameras. The 2-bay VS-2108 Pro+ is designed for the SMB and small-office/home office segment with the features of robust performance, solid reliability and high-definition local display. The VS-2108 Pro+ can support up to 8TB of storage capacity, with 4TB on each hard drive respectively, to accommodate high quality H.264, MPEG-4, M-JPEG, and MxPEG recording videos. The server-grade mainboard and heat pipe with fanless design assure the solid reliability for maximized system uptime. Moreover, the VS-2108 Pro+ supports local display via an HDMI cable, with up to 180 fps Full HD 1080p local display by hardware decoding. 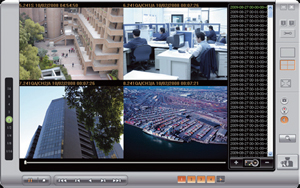 The VioStor NVR automatically selects video streams from IP cameras for different recording scenarios. 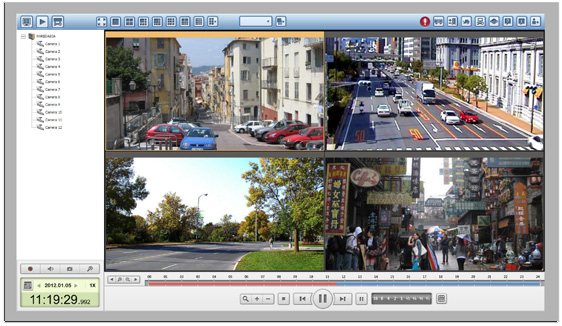 In normal situation, video recording maintains at lower quality resolution. 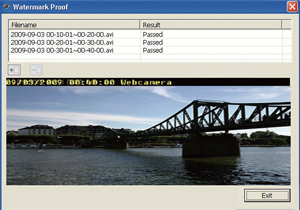 While the alarm event happens, video recording switches to high quality resolution to capture more details. In other words, smart recording effectively avoids the constant storage consumption at all time, but achieves greater storage efficiency and boost recording quality when alarm events happen. VioStor NVR provides surveillance storage expansion solution which enables users to leverage the Turbo NAS storage capacity. By installing the StorageExpansion QPKG in the Turbo NAS, administrators can connect the VioStor NVR with the Turbo NAS to flexibly enlarge the total surveillance storage. Configure the one touch auto video backup button at the front of the NVR to copy the data from the NVR to an external storage device when the button is pressed. 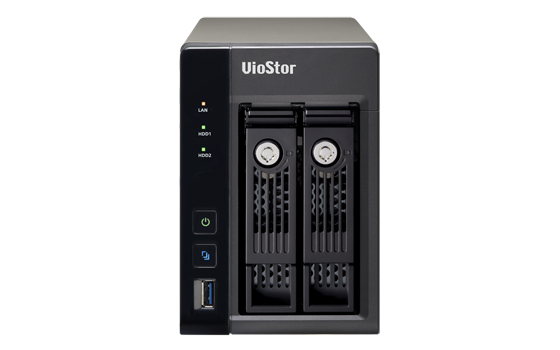 The VioStor NVR supports RAID 0, 1, 5, 6, 5+hot spare, single, and JBOD disk configurations. Its hot-swap design allows a failed drive of a disk volume (RAID 1 or above) to be replaced by hot swapping without turning off the server. Use the VMobile network surveillance application on Android phone, Android Tablet, iPhone, iPad, or iPod touch to easily access video management functions Multi-view Playback Use the multi-view playback feature such as remote live view and playback recordings. 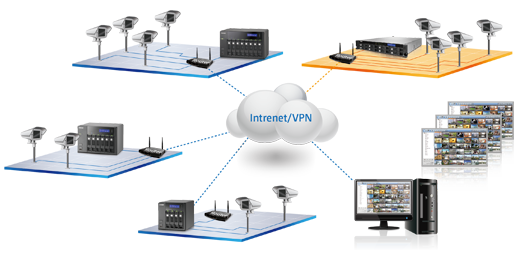 In addition, the account on the VioStor NVR can be used to connect to an unlimited number of NVRs and IP cameras by VMobile through Wi-Fi, 3G, or 4G networks. 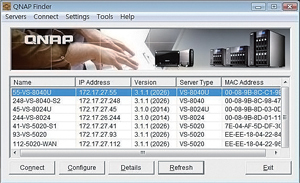 Two IP settings can be configured on the NVR to allow network access from two different subnets. Manage and monitor up to 128 IP cameras centrally on a single Turbo NAS by connecting multiple Turbo NAS units to minimize management efforts. By connecting multiple Turbo NAS units, you can manage, monitor and play back up to 128 IP cameras managed by the Turbo NAS at the same time from a single unit. This scalability provides greater flexibility for deploying a smaller surveillance system in the beginning and expanding the surveillance scale in the future when needed. Relative Humidity 5~95% RH non-condensing, wet bulb: 27˚C. 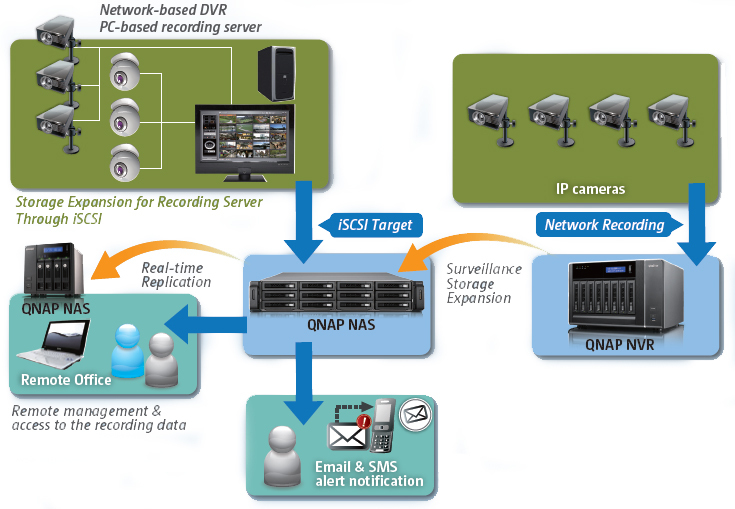 Download the QNAP Network Video Recorder and QVR Datasheet (PDF).